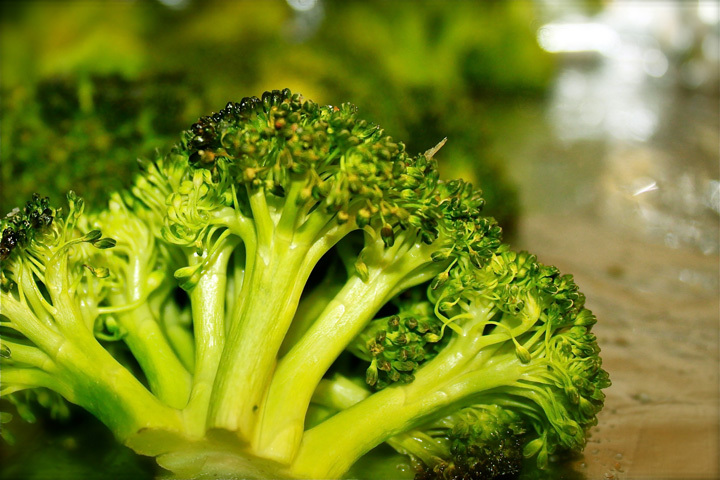 In a large baking dish, arrange broccoli florets to cover the bottom of the dish. Drizzle olive oil liberally, and sprinkle garlic salt to taste. Bake on 400° for 20 minutes.